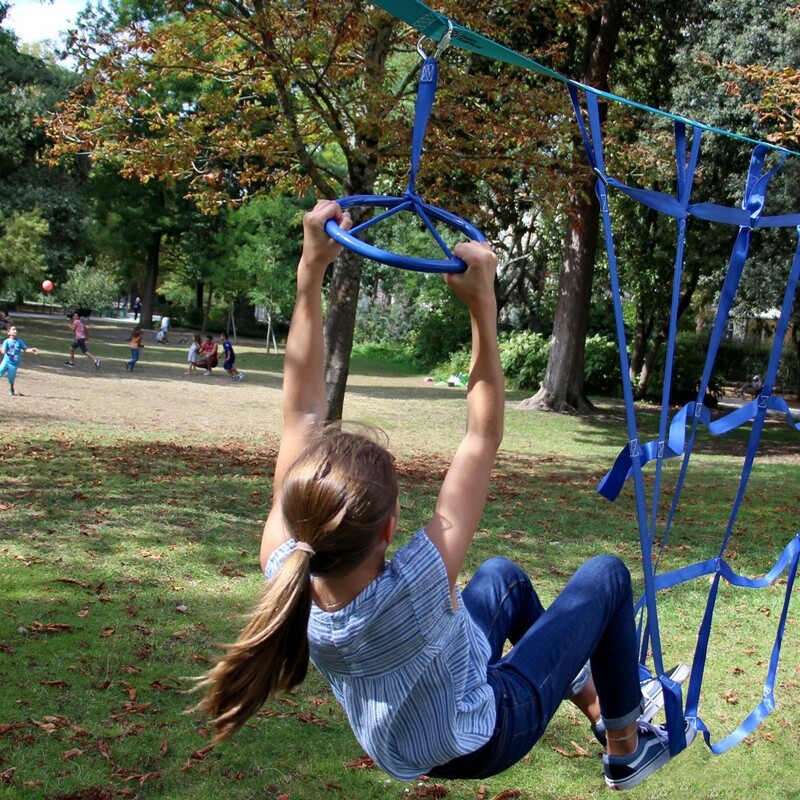 Climbing rope, hanging wheel, climbing net, and rope ladder for your Ninja slackline. 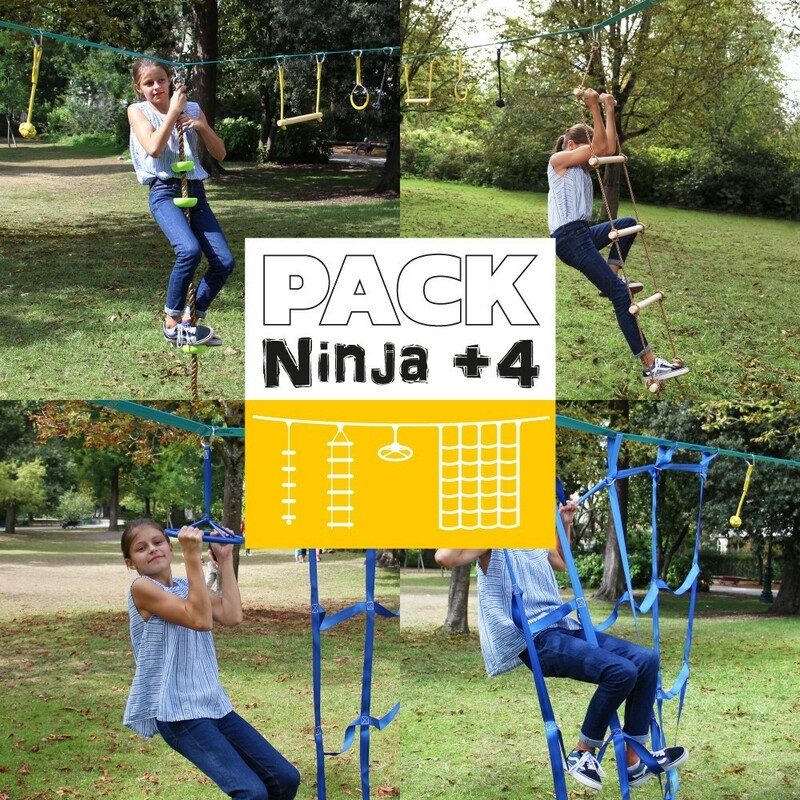 Add even more fun to your Ninja obstacles course with these new accessories! 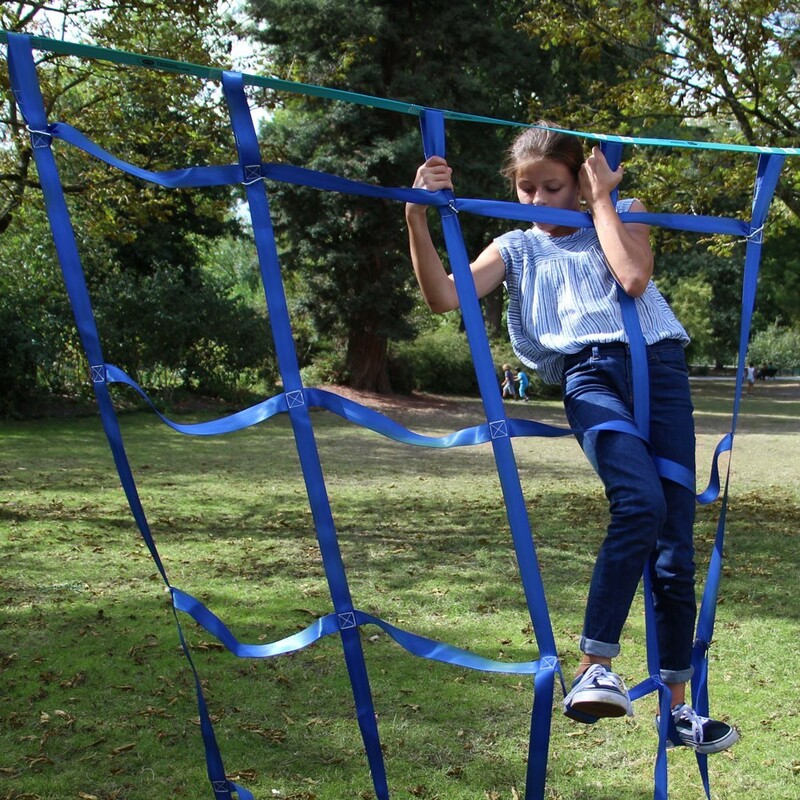 The rope ladder, climbing rope, climbing net, and hanging wheel will liven up your obstacle course and offer new challenges to both very young and older players. 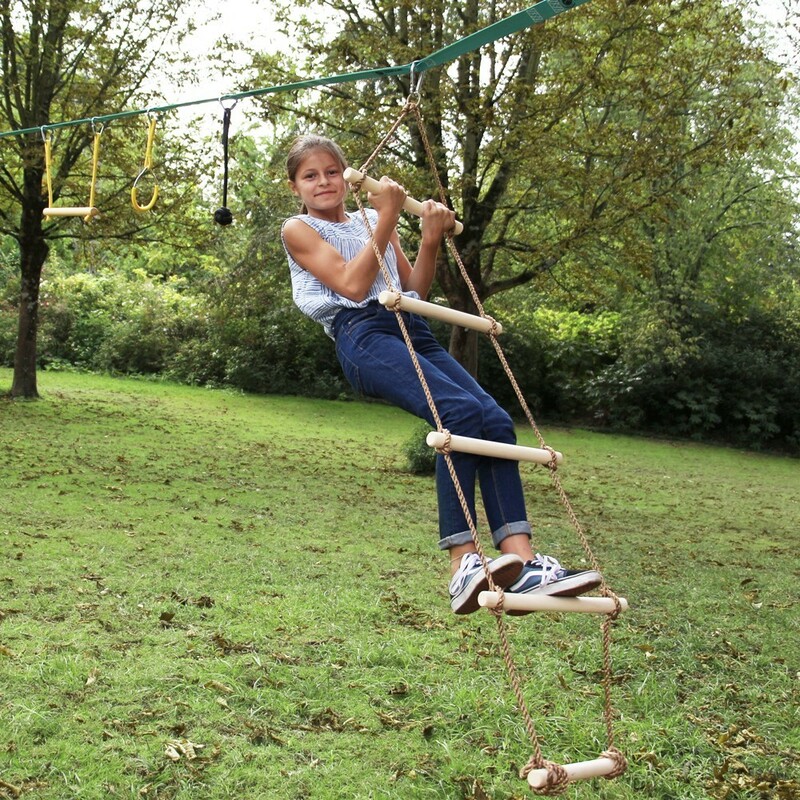 The climbing net and rope ladder will delight young adventurers. 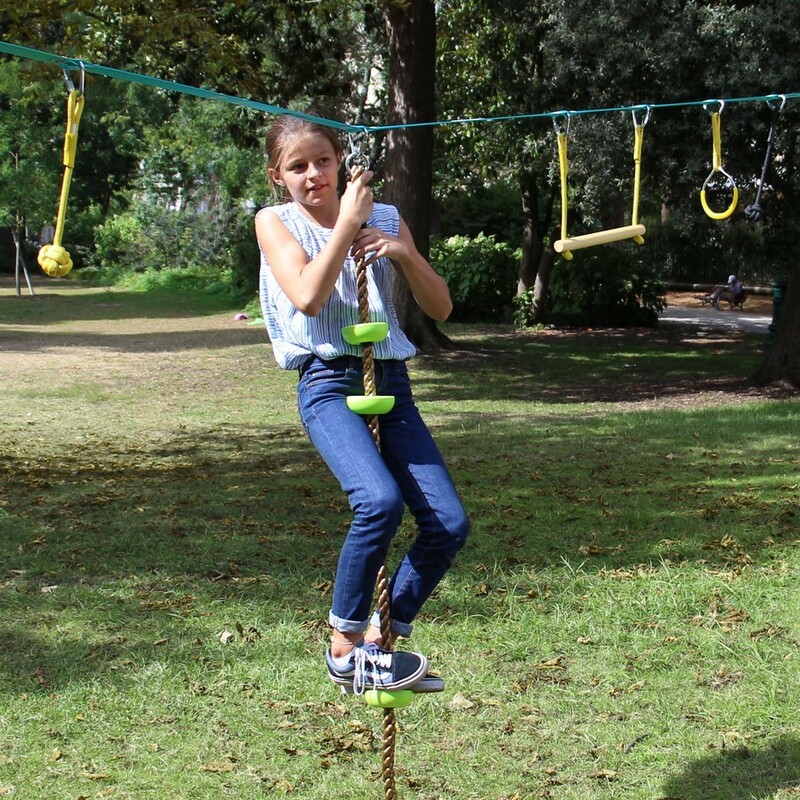 The climbing rope and hanging wheel will provide additional challenges to older ninjas. 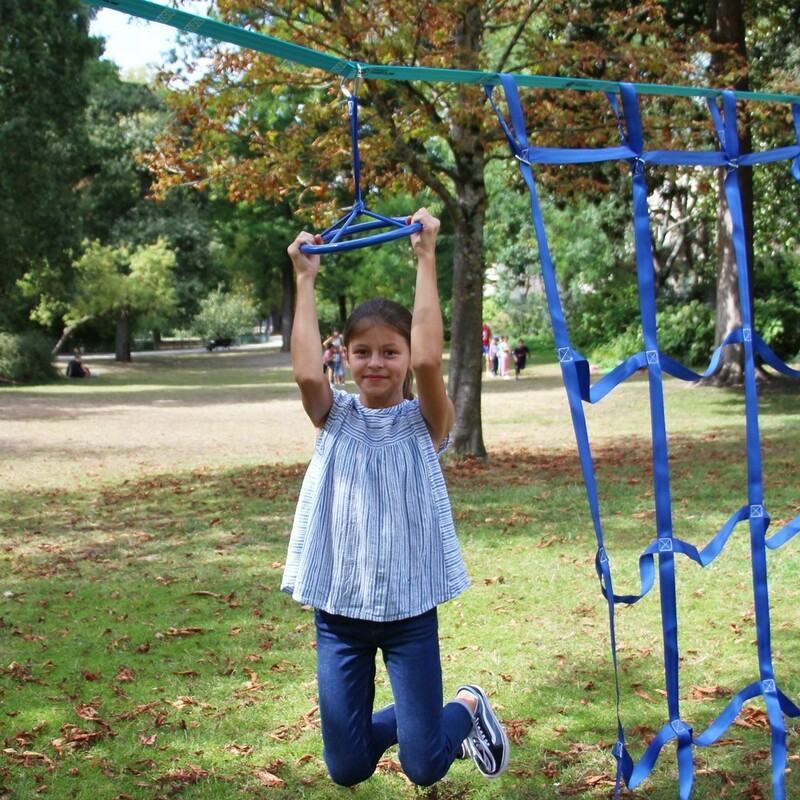 All these accessories are easily mounted with steel snap hooks.